Although a popular destination, some of the top activities to try in Sri Lanka are still shielded from the tourist industry. At the same time, this country will offer you a solid list of must-visit places for the most dedicated travellers ever – from the top visited sights, to the hidden gems unknown to most, as it is still possible to escape the beaten track in Sri Lanka. From indigenous tribes and spiritual retreats to safari tours and tea-tasting, there is something for everyone. If you’re wondering where to go in Sri Lanka, here are ten reasons to visit the island that are sure to inspire you! Sri Lanka contains a wealth of devoutly spiritual temples, where you can gain insight into thousands of years of religious heritage. Most famous is the Temple of the Sacred Tooth Relic which has a dramatic and fascinating history – it is said to contain a tooth of the Buddha himself. Whilst it is certainly worth a visit, those looking to leave the beaten track will be equally delighted by the wealth of village temples across the country – even the smallest of which can offer intensely beautiful craftsmanship from centuries ago. Many larger temples are important sites for local festivals, so make sure your visits coincide! For a unique and mesmerizing experience, be sure to consider the cave temples – such as the Golden Cave Temple at Dambulla which contains hundreds of beautiful statues. Be sure to dress appropriately, or rent a sarong at the entrance. Sri Lanka’s tea is acclaimed all over the world, and rightly so – a visit to one of the island’s tea factories is sure to capture your interest. Many of them are still relatively unknown to the world of tourism, so offer a unique and authentic experience. An excellent example is the Nandana Tea Factory. One of the best travelling spots in Sri Lanka, it is run by a passionate couple who are the third generation of their family to take ownership of the business. Expect a warm welcome and a highly informative tour of the gardens, ending with a tea-tasting session in the café. Be sure to purchase some very reasonably priced tea from the gift-shop to take with you. If you’re wondering where to go in Sri Lanka, Lion Rock – an ancient rock fortress – is a great place to start – locals claim that it is the eighth wonder of the world, and it is easy to see why! Located in the Citadel of Sigiriya, a climb to the top will take an arduous two hours, and it is worth setting off early in the morning to avoid the heat of the day. What may seem like an unassuming (albeit vast) chunk of rock has a wealth of stories to tell, as can be found in the paintings and inscriptions. The ruins, paintings and engravings offer a fascinating glance into the past and are well worth the climb. The Gal Oya National Park is one of the best travelling spots in Sri Lanka, where natural wildlife is still able to flourish. Arrange an exhilarating safari by boat for the chance to see crocodiles, elephants, impressive fish and the densest variety of birds on the island. You could further immerse yourself into the cultural roots of the island by embarking on an authentic walking tour (booked through Gal Oya Lodge) to visit the Veddha people – an indigenous tribe descended from the first inhabitants to arrive from India over 16,000 years ago. Meeting and understanding these people and their way of life is undoubtedly one of the top activities to try in Sri Lanka that will allow you to broaden your horizons and learn something new. Sri Lanka’s curries alone are a good enough reason to visit the island. Some of the most traditional and intense flavours can be found in the north – particularly Jaffna. Goat curry for example, usually prepared in one pot, is slow cooked until tender, with thick, rich sauce. Another must-try is mud crab curry, with its mouth-wateringly soft texture and delicate flavors. Sri Lanka’s lagoons are home to some of the tastiest crabs around – head to the Ministry of Crab in Colombo to indulge in this classic Sri Lankan dish. For adventurers on a shoestring budget, street food provides an interesting alternative to dining out – snacking whilst on the go is a cheap yet surefire way to fill yourself up. Try the samosas or isso vadei (spicy lentil cakes with prawns) for a taste of the real Sri Lanka. 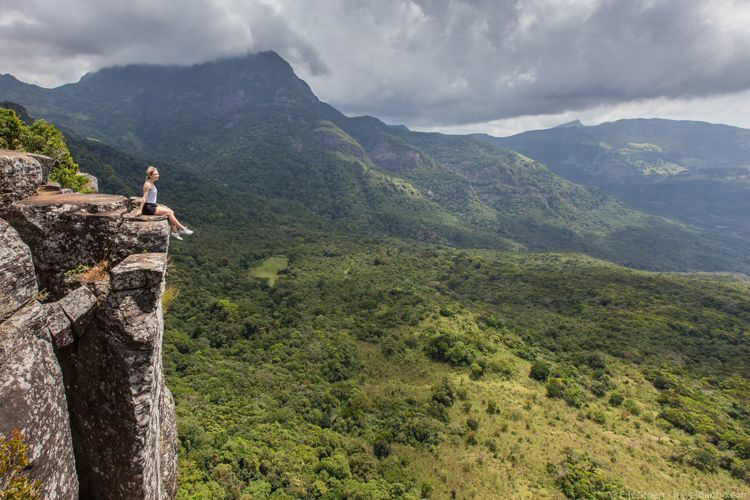 For those truly looking to leave the beaten track, trekking the remote mountains of the Knuckles Range is surely one of the top activities to try in Sri Lanka. Towering amongst the islands central highlands, the best way to properly appreciate these awe-inspiring mountains is by embarking on foot. To arrange your escape into nature, your best bet is to contact Sri Lanka Trekking. With guides well-versed in Sri Lankan flora and fauna, your experience through rice paddies, cloud forests, tropical jungles and tea plantations will be as informative as it is exciting! Location: Sri Lanka Trekking Sky Camp, Meemure Road, Kandegama, Hunnsgirya, Kandy. The oceans and islands around Sri Lanka offer a wealth of exotic experiences. A trip to the Pigeon Island National Park, for example, brings with it the chance for even the most inexperienced snorkelers to see black-tip sharks and turtles amongst the diverse array of tropical fish. Another worthwhile yet little-known excursion can be found on the remote Kalpitiya Peninsula in the north, where large pods of dolphins (as well as the intermittent whale) can frequently be seen just off-shore. Contact Dolphin Wadiya for an informative tour, where the number of dolphins you are likely to see regularly hits the hundreds. Finally, there are several spots to admire such amazing creatures as whales! For a fascinating insight into Buddhism, look no further than Nilambe Buddhist Meditation Centre for a spiritual getaway. 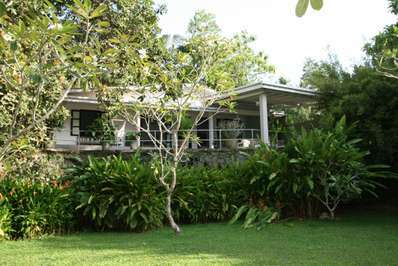 Located in the peaceful rainforests south-west of Kandy, it is the perfect opportunity to leave behind the toils of modern life. Forget Wi-Fi and electricity – for those who want to embrace tranquillity, nature and self-discovery; this is the perfect option. Beginners and experienced meditators are both welcome, as is anyone with an open mind. Contact Number: n/a – no phone line. Beaches make up some of the best travelling spots in Sri Lanka, however, during high season it can be difficult to escape the swarms of tourists. For those in search of less touristy (but equally beautiful) beaches, head to Dickwella, a short trip to the west of Nilwella. A gorgeous spot for swimming and sunbathing, the reefs here also provide impressive snorkelling. If the seclusion starts to get to you, wander up the road to Hiriketiya beach where you can find restaurants and bars. Also renowned for surf-shacks, Tangalle Surf School is the place to go for those ready to ride the waves. Sri Lankans are passionate cricketers and the chance to see a match should not be missed. Established over 100 years ago, Galle International Stadium was once a racecourse for British Colonials who fancied a wager. For sporting fans, following the crowds for a one-day or test match will be one of the top activities to try in Sri Lanka. Tickets can easily be purchased any of the stadiums in Sri Lanka, so there is no need to book. Often referred to as the island’s second religion, the atmosphere of a cricket game is sure to excite any keen sports fans. For a truly unique experience, enjoy your trip from the comfort of one of the many beautiful private villas in Sri Lanka. 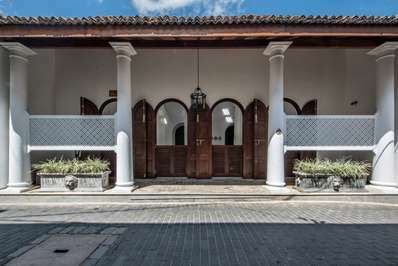 One of our personal favourites is the ISHQ Villa in Galle, which marries the comforts of a luxury hotel with the privacy and warmth of your own home. If waking up with a stunning view of the Indian Ocean before enjoying a breakfast of carefully prepared local dishes tickles your fancy then look no further. With a dedicated team (including a chef, butler and personal trainer) to look after you, this is one of the many private villas on offer which is sure to be the icing on the cake of your stay in Sri Lanka.